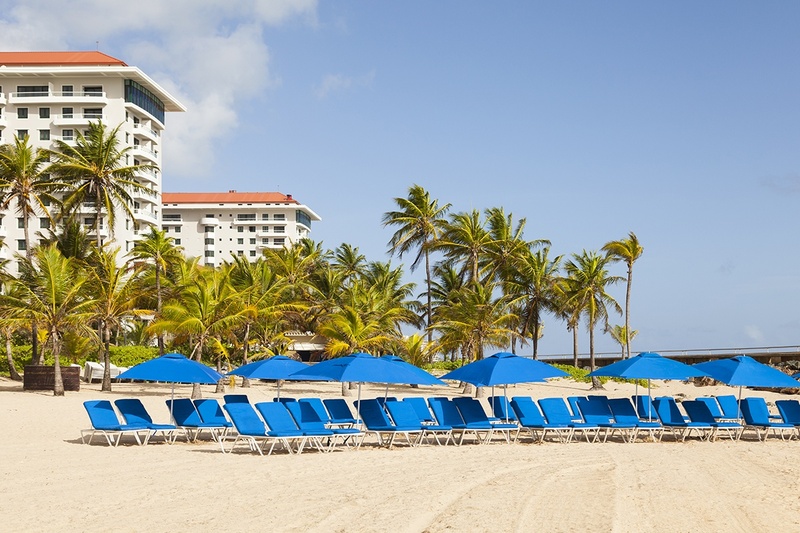 Perched majestically above the Atlantic Ocean and featuring panoramic views, the legendary Condado Vanderbilt Hotel has been Puerto Rico’s premier oceanfront hotel for nearly a century. It has been meticulously restored to its original grandeur and preserved to its legendary past with 21st Century amenities in all rooms, suites and guest areas. With its most recent $220 million renovation, the hotel is now endowed with a range of contemporary five-star comforts – each perfectly complemented by outstanding service designed to exceed the needs of the most discerning traveler. 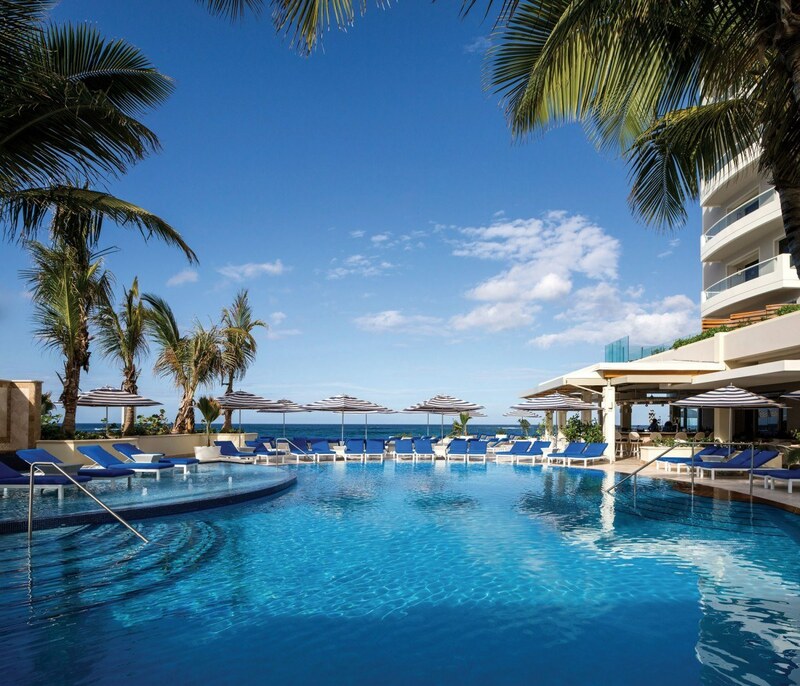 Condado Vanderbilt beach features exclusive cabanas and chaise lounges for hotel guests, and with your personal Pool and Beach Butler, room service has evolved. Enjoy every possible amenity necessary for relaxing under the blue Puerto Rican sky, including refreshments, fresh towels and replenishments, assistance from our tanning and hydration specialist, and food and beverage delivery to your private beach cabana or to your chaise lounge by one of our pools. The Beach Tower features two pools, concierge service, food and beverage service from Ventana Lounge, and a sundeck with chaise lounges. The Spa Tower features an infinity pool with a sundeck and exceptional views, and a main pool just steps away from the Outdoor Clay Caress Experience, provided by The Spa. Please contact your Spa Concierge for details at 787-977-6710. Hit the Jackpot with a true casino experience like no other. 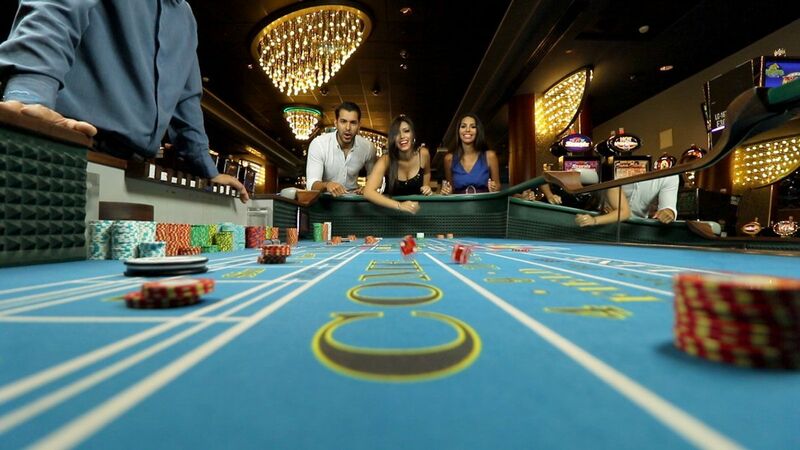 Casino del Mar encompasses excitement and sophistication under one roof 24/7. Casual elegance atmosphere combines with high energy action, designed to excite your senses. Cutting edge gaming with high-tech slot machines and card tables will satisfy high rollers and casual players alike. Casino del Mar is located just steps away at our sister property La Concha Resort, and our guests may enjoy the added comfort of complimentary transportation via private shuttle service. Technology: Enjoy complimentary WiFi and personal business center amenities along with full mirroring capabilities from your personal mobile device to your room’s television. Twice Daily Housekeeping Service: Have your hotel room or suite fully cleaned for the day and then prepared for a relaxing evening. Guest Concierge: Your concierge provides a true local Condado experience – from dinner reservations and transportation arrangements to activities and excursions throughout Puerto Rico. VIP Planner for Suite Guests: Personalize your Condado experience with custom-tailored activities planning and other services. 24-hour butler service: Our professional butlers will unpack and organize your belongings, prepare a full guest agenda and fulfill personal requests, such as Condado restaurant and entertainment reservations. 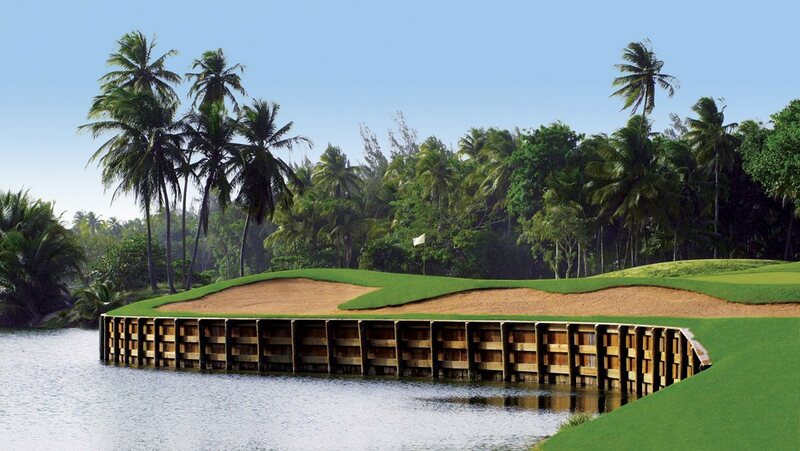 Playing golf in the Caribbean is truly a unique experience. Our sister property, the Bahía Beach Resort in Rio Grande, offers world-class play just 30 minutes away. 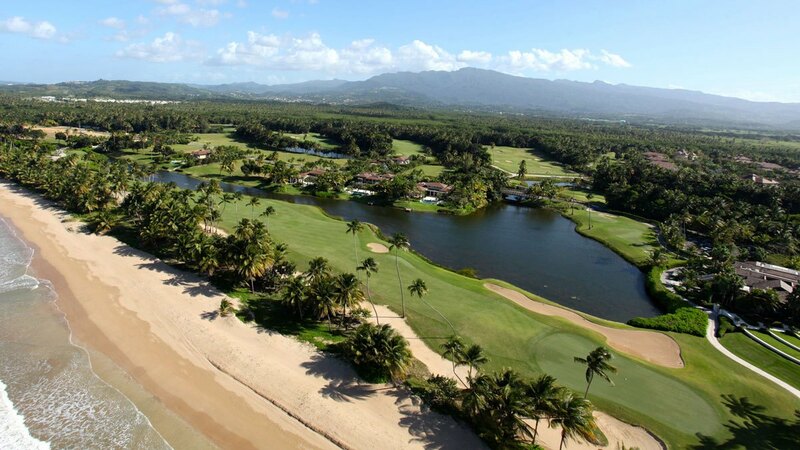 The Robert Trent Jones Jr. designed course offers scenic fairways and impressive greens along the ocean, while providing challenging variety. 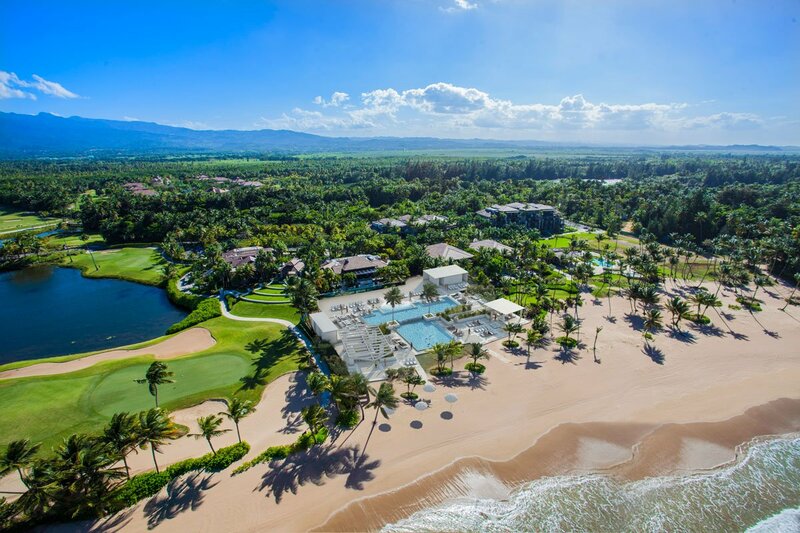 Our concierge will accommodate your preferred tee time and transportation to Bahía Beach, so that the only thing you need to focus on is your game.